Frames of Sky from Earth is a a multimedia project on the intersections between art, astronomy and architecture. With a strong visual narrative, Frames of Sky from Earth clearly unfolds its transdisciplinary content ranging from astronomical concepts to architecture and art history, educating the viewer on a tour of the most remarkable examples of "the architecture of cosmology." Sun Farm is the first video of the series Frames of Sky from Earth: a multidisciplinary project about 120 miles north of New York City, Sun Farm is an experiential place and built vision, multidisciplinary and multimedia project encompassing several thought processes, theories, disciplines as well as several "practices" of making. 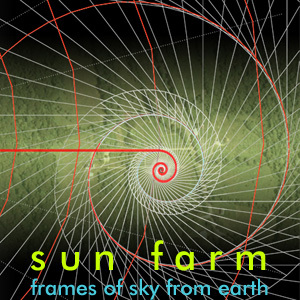 Drawing from cosmology, observational astronomy and philosophy, Sun Farm consists of excavated earthworks, large scale environments as well as above ground constructions. The shaping of the landscape and structures is oriented to solar and celestial alignments, in a dual effort to capture the sun's energy and to celebrate the cosmos.